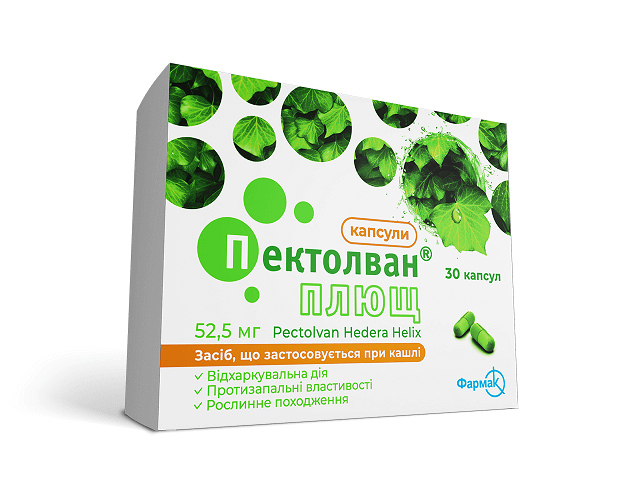 Herbal medicine with dry ivy leaf extract which has antitussive, expectorant, spasmolytic, anti-inflammatory and antimicrobial activity. 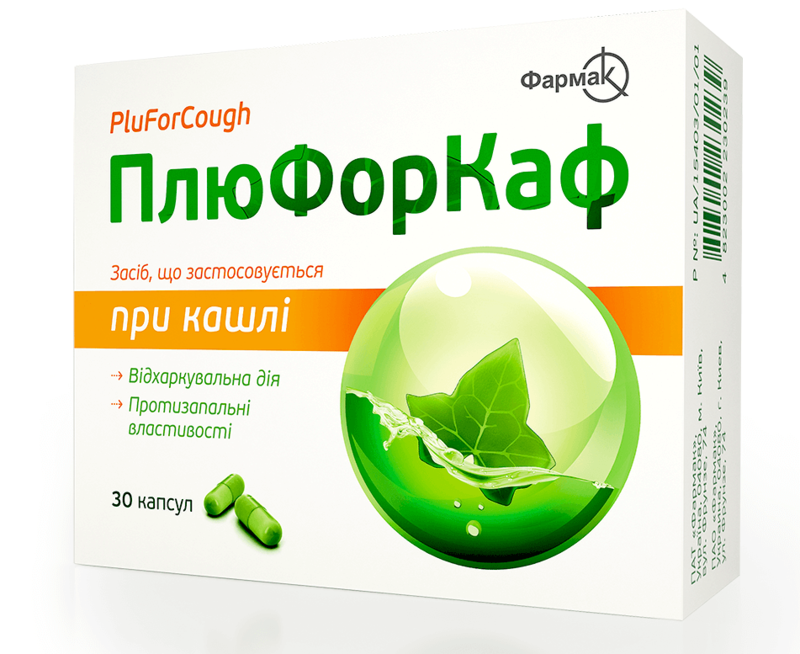 Reduces the viscosity of mucus and facilitates its passage. Please note that the name of the drug PluForkaf has been changed to Pektolvan Ivy capsules. On sale in pharmacies for a certain time, both packages may be present. All of them are registered and allowed for implementation.